Folks of ALL ages dancing their hearts out! I have to admit that the blog post I did on Monday broke my heart. The idea that it is even possible that a six-year-old girl may have died because of weight stigma is just so sad. I need to reiterate, that none of us can know precisely what that doctor was thinking. But the testimony she gave at her own trial makes me more than a little suspicious. And you know what? It doesn’t have to be this way. There are far simpler ways to help kids be healthy. Not the least of which is simply helping them find safe places to play and joyful places to move their bodies. 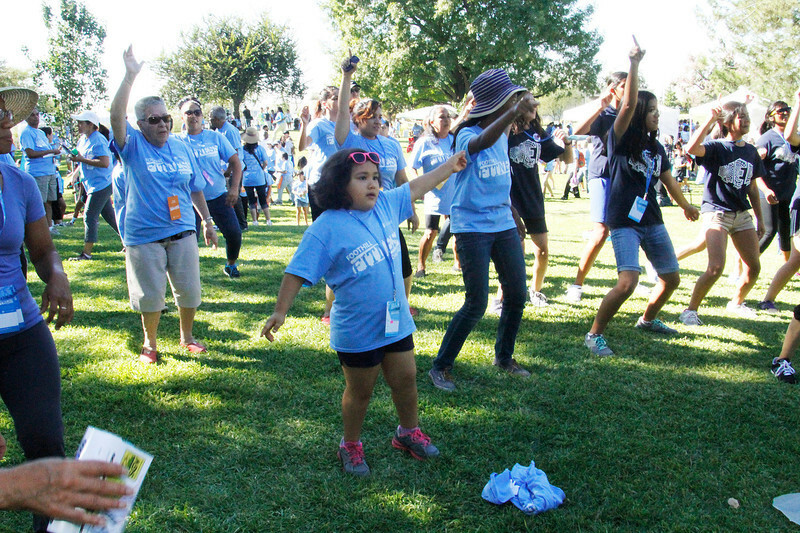 Because one of the best things we can do to help kids be healthy is offer them fun ways to get exercise. Yet another study came out this week that indicates that cognitive abilities among kids have a lot more to do with fitness levels than BMI. But this fact, doesn’t seem to deter those who feel the best way to help kids be healthy is to send home a BMI report card. Despite the fact that BMI is very loosely correlated with health in young children, and that focusing on BMI makes kids more likely to develop eating disorders, and that focusing on BMI tends to lead to shame in kids which not only makes them develop other bad health behaviors, but also tends to make them gain weight, we are STILL PERPETRATING THIS NONSENSE IN SCHOOLS. 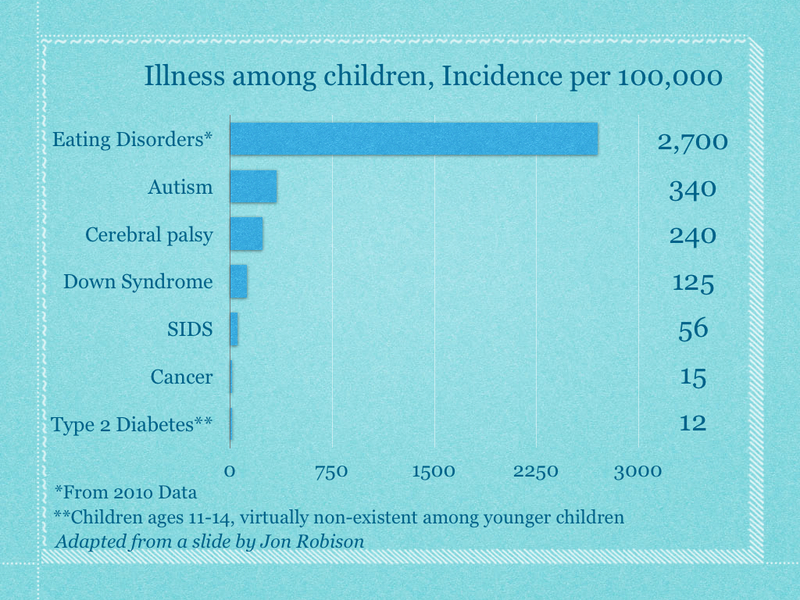 Let’s focus on helping kids be healthy without increasing the risk from eating disorders. Remember this chart? It made my heart so happy. Little kids and big kids and grandmas were all dancing together. If we want to help kids be happy, LET’S DO THAT! Let’s find some kids, put on some music and dance with them. Sure maybe it’s simplistic, but it’s also fun and is likely to do no harm. So what do you say? I challenge you to connect with a kid and go out and play this week. Dance, bike, throw a ball around–whatever makes you (and them) happy. This entry was posted in Uncategorized and tagged BMI report cards, bullying, City of Hope, dance, eating disorders, every body can exercise, everybodycanexercise, exercise, fitness, Foothill Fitness Challenge, Fun, healthy, Jeanette DePatie, kids, obesity epidemic, the fat chick, weight bias, weight stigma on October 9, 2013 by fatchicksings.